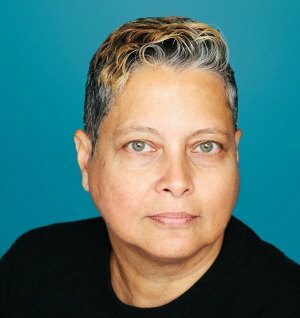 TQU (Transnational Queer Underground) has interviewed some of the people that are organizing today’s Pride events, and finds out what the marches mean to them, in a series called Faces of Pride. One of these is Rosanna Flamer-Caldera, organiser of Colombo Pride in Sri Lanka. Colombo is the commercial capital, and largest city in Sri Lanka, with a population of 5.6 million. My name is Rosanna Flamer-Caldera, I’m 62 years old. Since when have you been involved with Colombo Pride? I am the founder of Pride in Sri Lanka which is 14 years old. Why do you think Colombo Pride is important? It is important to mainstream our issues, visualize the LGBTIQ community, and give people in Sri Lanka a taste of Queer culture. It goes very far to encourage LGBTIQ persons to come out and feel proud of themselves, and also to show Sri Lanka there is a vibrant LGBTI community here. 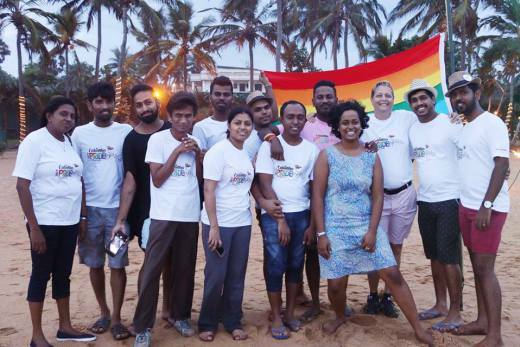 What one (or two) remarkable thing(s) have happened at Colombo Pride? This year’s Pride is the largest Colombo Pride festival to date. The number of new faces participating gives us hope and enthusiasm to continue our work here in Sri Lanka. What do you do when you are not organizing Colombo Pride? I am the Executive Director of Equal Ground, the only LGBTIQ organization working for equal rights for all members of the LGBTIQ community here in Sri Lanka. Is there something you would like to say to the rest of the LGBT+ community? Don’t be complacent, always fight for what you want and never give up the struggle. No matter where you are.